Such amazing privacy around this really cute 3 bedroom home in one of the better residential communities in this area. Sitting at the top of the hill you get nice cool ocean breezes wafting up the hillside from the ocean so it is very comfortable. The grounds are simply lovely. 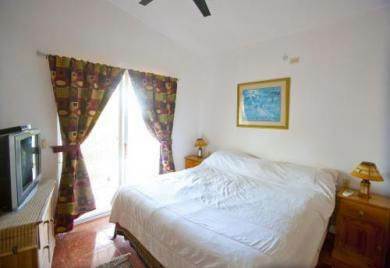 Terrific convenience to this area as well, half way between Cabarete and Sosua and only minutes to everything including half dozen public beaches. Great deal for people who like peace and quiet and beautiful tropical plantings.